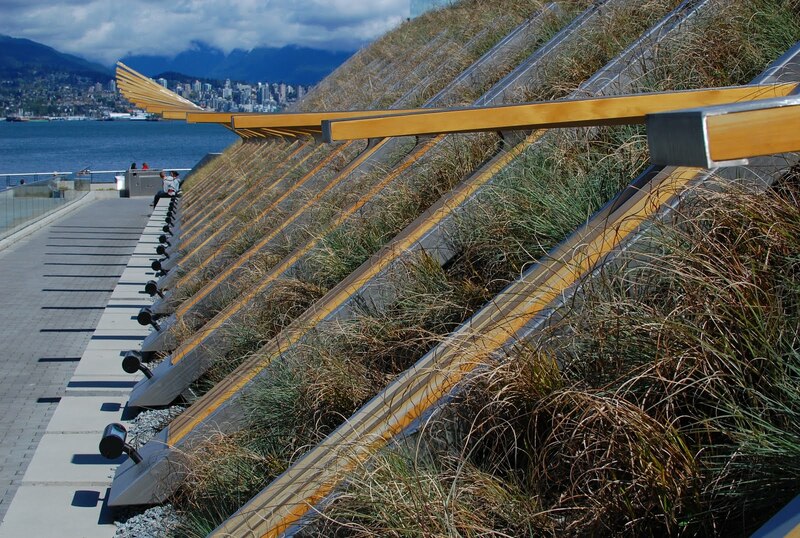 The Vancouver Convention Centre has tried to cover every outward-facing surface with greenness and art. Here is an installation celebrating something to do with the historic professions of settlers to the area. Or is it a memorial to the ironworkers killed while constructing the Second Narrows Bridge? The explanations seemed to crowd together.